David DeVries serves as the Defense Department’s deputy chief information officer for information, integration and technology where he works to consolidate department rules in order to build information assets for DoD personnel, organizations and partners. DeVries currently works with various groups to develop a joint DoD-Veterans Affairs electronic health record system and complete the DoD information technology enterprise for additional warfighter capabilities and cybersecurity infrastructures. 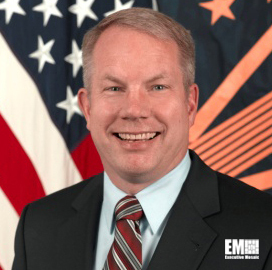 The IT, information management and command and control systems veteran previously helped the U.S. military establish its enterprise information sharing and IT technologies. A 29-year U.S. Army officer, DeVries held various lead roles in command and control communications and information management and technology during his military career. DeVries earned a bachelor’s degree from the U.S. Military Academy at West Point and a master’s degree in electrical engineering from the University of Washington in Seattle, Washington. The Army Senior Service College graduate also served as a corporate fellow with IBM Business Consulting Services and joined the Secretary of Defense Corporate Fellowship Program.